Comedy and literature together? Why not! Fresh off the back of a monthly residency in London’s West End, two sell-out UK tours and a BBC Radio 4 special to mark the bicentenary of Jane Austen’s death, multi award-winning improvised comedy troupe Austentatious are bringing their show to Leicester in October. Austentatious is an improvised comedy play starring a cast of the country’s quickest comic performers. Every single show the cast conjure up a brand new, riotously funny, ‘lost’ Jane Austen novel based on nothing more than a title suggested by the audience. 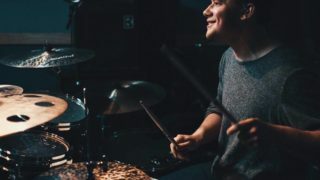 The group have established themselves as one of the UK’s most popular live acts, with six sellout runs at the Edinburgh Fringe under their belt. Previous ‘lost’ masterpieces have included Sixth Sense & Sensibility, Double 0 Darcy and Mansfield Shark, and no two shows are ever the same. 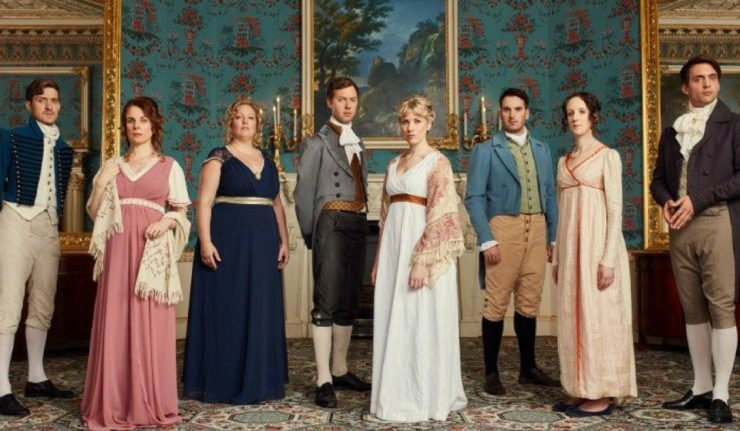 Rather than the familiar roster of improv games and scenes, Austentatious presents a riveting story with all the trappings of Austen’s best work: rounded characters, delicate plotting, and real drama. Performed in period costume with live musical accompaniment, this is a Regency treat guaranteed to delight Austen novices and die-hard fans alike. The cast is made up of a host of acclaimed comedy talent including: Cariad Lloyd (Peep Show, Murder in Sucessville, QI, Have I Got News For You), Rachel Parris (The Mash Report, The IT Crowd, Murder In Successville), Joseph Morpurgo (Edinburgh Comedy Awards Best Show nominee, Odessa, Harry & Paul’s Story of the Twos), Amy Cooke-Hodgson (Alan Carr’s Spectacular, Olivier Award winning La Boheme, Howard Goodall’s Girlfriends) Andrew Hunter Murray, (No Such Thing As A Fish, The Mash Report), Graham Dickson (The Messiah, Scooter Thomas, The Pride, Below The Belt), Charlotte Gittins (Folie à Deux, Grand Theft Impro) and Daniel Nils Roberts (Racing Minds). Each show stars a varying line up of five-six members of the cast. Austentatious will be at Leicester’s Y Theatre on 20th October 2018 and tickets are on sale now.